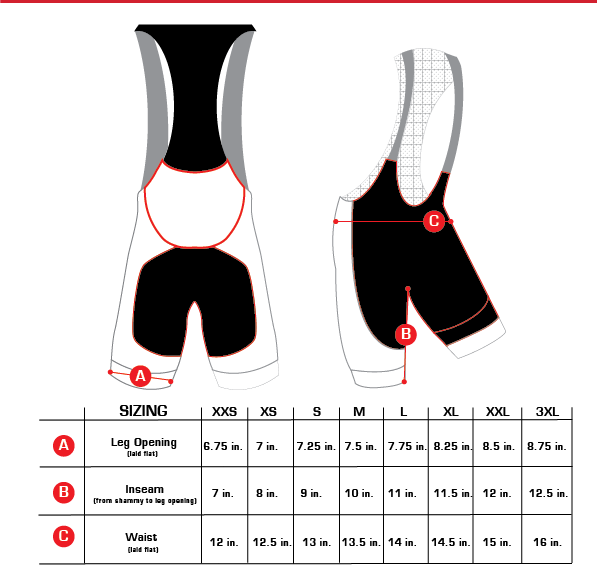 Rather than simply adding pockets to our current bibs, we developed a completely new pattern around the pockets. We chose hi-vis for the fabric of the two rear pockets. Why? Why not. In most cases it will be under the jersey, but if you ever get caught out at dusk and need to be more visible just pull your jersey up a bit so the hi-vis fabric can be seen. The pockets are big enough for a full-sized phone, warmers, or back up food. They’re perfect for wearing with a tech tee and baggy shorts. We also love them for miles on the trainer because you can keep your phone close to you. 5cm Italian laser cut power band. The fabric is infused with lycra to keep it from riding up. We use the same chamois in all of our bibs. We’ve sold over 5000 pairs with this chamois and the feedback is great. Good for rides of any length.